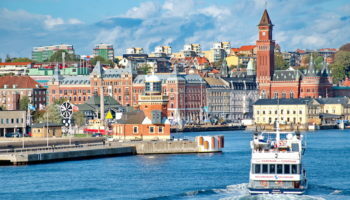 The Nordic country of Sweden is a rich cultural destination with breathtaking scenery. Progressive and peaceful, Sweden’s long history provides plenty of incredible landmarks, architecture, and museums to choose from. Most visitors who come to Sweden start their trip in Stockholm, the country’s largest city and its capital. There is no question that Stockholm’s attractions are world class, but don’t forget to explore the other amazing spots throughout the country. 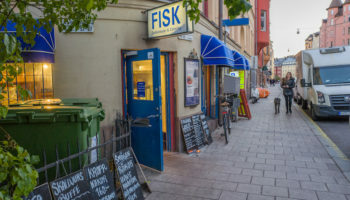 These top tourist attractions in Sweden include historic towns, national parks and bucket list items you won’t want to miss. One of the oldest national parks in Europe is Sarek National Park, which is located in Jokkmokk in Swedish Lapland. The park is a must-visit destination for hikers and mountaineers, because it is home to six of Sweden’s major mountains. In total, Sarek National Park is home to more than 200 peaks and over 100 glaciers. Gorgeous mountain peeks, miles of hiking and tremendous natural beauty make Sarek one of the most incredible places in Sweden. There is plenty of great architecture in the university city of Uppsala, but one attraction stands out: The Domkyrka. The Domkyrka, or cathedral, dominates the city’s skyline and is also the largest church in all of Scandinavia. As the seat of the Church of Sweden, it is also the final resting place for many Swedish royals. The cathedral dates back to the 13th century, and its three gothic spires are truly breathtaking. The Vasa Museum, or Vasamuseet, is located in the Djurgården, a vast royal park in the Östermalm district of Stockholm. While Sweden’s capital city is home to plenty of excellent museums, the Vasa Museum is often cited as one of the best. The start exhibition at the Vasa Museum is Vasa herself, a wholly preserved Swedish warship from the 17th century. Vasa was pulled from the water in 1961 and meticulously restored, and it offers incredible insight into marine life and industry in the 17th century. The Öresundsbron, or Oresund Bridge, is one of the most important bridges in Europe. This bridge connects Sweden and Denmark at one of the busiest border crossings. Oresund Bridge is the longest combined road and rail bridge on the continent, and it stretches from the Swedish city of Malmö across to the Danish city of Copenhagen. You can drive over the bridge, but you can also take a bus or train to cross between the border and venture out for a day trip to Denmark. The Are Ski Resort is located in the region of Jämtland. Are is one of Sweden’s top winter sports destinations, and it boasts over 100 slopes and more than 40 ski lifts. There are three major ski areas to choose from: Björnen, the High Zone and Duved-Tegefjäll. Björnen is ideal for families, boasting longer slopes. The High Zone is the busiest with the most runs, and Duved-Tegefjäll is less crowded and offers opportunities to ski off piste. 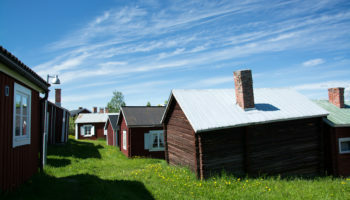 Just outside of the city of Lulea, in Sweden’s Lapland region, is the old church town of Gammelstad. Also known as Gammelstads kyrkstad, this collection of structures dates back to the 15th century. The highlight is the old stone church, which is surrounded by more than 400 wooden houses. The simple houses are all red and white, and they were used by countryside residents who came into town for church services or events. This unusual attraction shows the communal spirit and country lifestyle that dominates in the remote parts of Sweden. 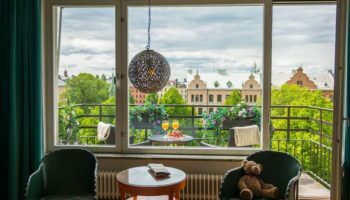 If you only have a day or two to explore the capital city of Stockholm, make sure you spent it in the area of Gamla Stan. This is the old town, and it offers beautiful waterfront views as well as countless historically significant landmarks and attractions. While visiting Gamla Stan, you can admire the 17th century Royal Palace, which is home to the King of Sweden. 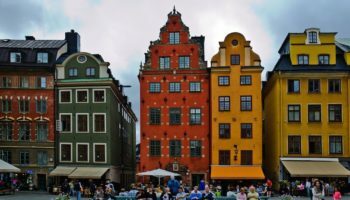 Or, you could tour the Stockholm Cathedral, see the House of Nobility and explore the collections and exhibits at the Museum of Medieval Stockholm. Dating back to the early 11th century, Kalmar is one of the oldest cities in all of Sweden. Kalmar Castle was constructed in 1160, but it is remarkably well preserved. 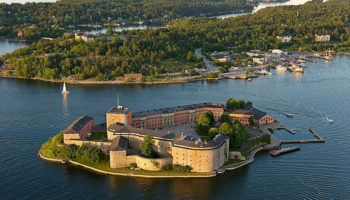 The castle overlooks the Kalmar Strait, and the waterfront views make it look spectacular from afar. In addition to its aesthetic appeal, Kalmar Castle is historically significant. It was in Kalmar Castle that Denmark, Norway and Sweden joined forces in the 14th century, and it is also the site of a major 17th century battle. The university city of Lund, in Scania, is more than 1,000 years old. One of its oldest and most impressive structures that still stands is the Lund Domkyrka, or the Lund Cathedral. Built in 1103, the cathedral is the second oldest in the Nordic area. It is constructed from sandstone, and the entrance is formed by two stunning and oversized brass doors. Twice a day, the cathedral’s astronomical clock puts on quite a show that is worth checking out. The small town of Jokkmokk in Swedish Lapland comes alive every February thanks to the Jokkmokk Winter Market. The hosts are the indigenous Sámi people, but tourists from throughout Sweden and even around the world come for this incredible occasion. For three wonderful days, you can expect folk dancing, reindeer racing, traditional costumes and lots of vendors. 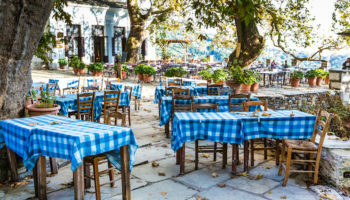 You can buy souvenirs and soak up the incredible culture that bright color and vibrancy to the cold days of February. The largest island in Sweden is Gotland, and the island’s capital is the town of Visby. This spot is a common vacation destination for Swedish residents on the mainland, because Visby boasts so much medieval architecture. The city’s 13th century ringwall still stands, and you can tour the 13th century church called Sankta Maria Kyrka, which is still in use to this day. Visby is packed with old church ruins, art galleries, museums and plenty of opportunities to enjoy traditional Swedish cuisine. In the city of Ystad, in Southern Sweden, is Ales Stenar. This monument is known as the Stonehenge of Sweden, and it is easy to understand the comparison. Ales Stenar is an enormous stone ship created by 59 large sandstone boulders. The monument dates back to the Nordic Iron Age, which is approximately 600 AD and even before the Viking Age. Opt for a guided tour of Ales Stenar so you can get some history and context when admiring the incredible stone monument in Ystad. Although Sweden is home to countless castles and palaces, one of the most famous is found in Lovö island in the center of Lake Mälaren. Drottningholm Palace was constructed in the 16th century, and it is now a residence of the Swedish Royal Family. However, much of the palace and its grounds are open to the public. The baroque and English gardens, in particular, are immensely popular. The Chinese Pavilion in the gardens is beautiful, and it is considered to be one of Sweden’s top architectural attractions. 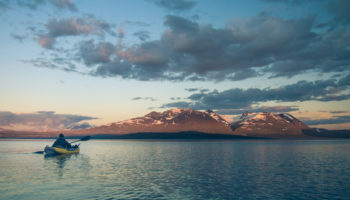 In the Lapland region of Northern Sweden, you’ll find the Abisko National Park. It is one of the northernmost parks in the country, and it is home to the Abisko Scientific Research Station. 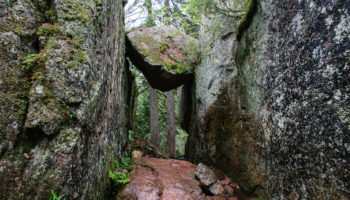 If you’re visiting the park, you’ll likely be interested in doing some hiking. The famous Kungsleden hiking trail is nearly 500 km (300 miles) long, and it starts right from Abisko. In the winter, there are also opportunities for skiing and snowboarding. Be on the lookout for wildlife that includes moose, reindeer and bears. Just minutes from the capital city of Stockholm, you’ll arrive at the Stockholm Archipelago. 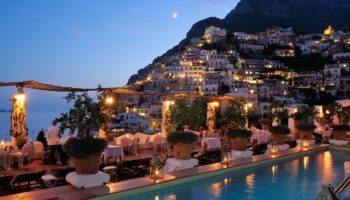 This is a staggering collection of more than 30,000 islands, some of which are large and inhabited and others that are mere rocks in the water. 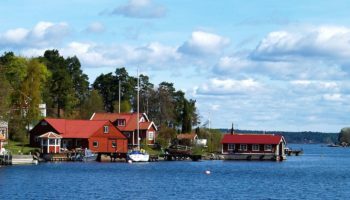 The archipelago is known for excellent sailing, incredible scenery and for being a retreat for many writers and artists in Scandinavia. If you want to stroll on a sandy beach or kayak in crystal clear water, but still be just a short distance from Stockholm, then the archipelago is absolutely worth visiting. The small village of Jukkasjärvi in Northern Sweden is home to the incredible Icehotel. Every year, the entire hotel is rebuilt using snow and ice blocks taken from the nearby Torne River. The Icehotel is always under freezing temperature to ensure stability. Even the bar is carved from ice, and the glasses themselves are made from ice! 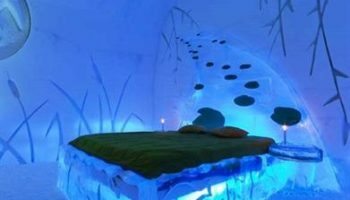 Furs, animal skins and high-quality sleeping bags ensure comfortable temperatures for guests, and you can only stay in the Icehotel between December and April of each year.